Like magic the clock approaches midnight and a great stirring is heard in the distance. Each Bridgekid stops and listens, knowing the time is near, and they choose a fleecy cloud on which to snuggle. The roar of purrs drops to barely an audible hum, the babbling brook ripples hypnotically and the flutter of downy feathered wings fall silent. Heaven's spirited toddlers climb expectantly upon the laps of angels while babies coo in tranquil unison. As the midnight hour approaches on Christmas Eve, a tremendous celebration begins. If you listen closely you will hear the exuberant sound of Bridgekids preparing for the remarkable moment that comes but once a year. Puppies romp through the tall green grass, chasing butterflies and rolling over and over until fits of giggles bring them to a tumbling stop. The volume increases as kittens, cats, tigers and lions purr in pure delight while the wings of snow white doves gently caress the air. The babbling brook that runs beneath Rainbow Bridge overflows onto the edge of mossy banks and fins of treasured aquatic life quiver in anticipation of this most joyous event. Nestled in the midst of this happy choir of Bridgekids are the littlest angel tots staring in awe at the majestic Christmas tree adorned with flowing strands of angel hair. Effervescent, twinkling stars seesaw elegantly from the sky and land in glorious harmony upon the stoic limbs of Heaven's most perfect Christmas tree. Swaying to and fro in nearby rocking chairs are grandmothers, grandfathers, parents, aunts, uncles and loved ones. The sound of their whispered lullabies permeate the air as they sing to tiny angel babies resting quietly in their arms. Amidst the warm glow of candle light which rises from the earth below, the arms of the Bridge Keeper envelop the heavens and into the precious hands of each child and in front of each animal a holy gift is placed. With grand exuberance the ribbons are removed and left to fly on a tender breeze where they dissolve into showers of angel dust. As the golden lids of these heavenly gifts are raised, an amazing aura fills the sky, reaching down to the very core of the earth. Ascending from each and every box is the greatest gift of all…unending, unconditional, all-encompassing love. This blessed love gently wraps itself around the cherished souls of heaven, warming their hearts with beacons of radiant light and bringing forth from angels an exquisite chorus. As the clock strikes midnight the distance between heaven and earth is vanished. It is at this very moment on Christmas Eve that the Bridge Keeper, His children, angels and Bridgekids send a message to their earthly loved ones on the wings of this unbridled love. Listening carefully with an open heart we will hear the familiar voice of our own angel whisper softly into our ear their Christmas message..."Let me share with you this love of mine, always and forever. When you need me know that I am here. I have not left you for I am in your heart where I belong. Our love is eternal as is the brilliant glow of candlelight which illuminates the path to the heavens and Rainbow Bridge. I wait patiently as do you for our inevitable and glorious reunion. I love you, I love you, I love you." I wish, for every dog searching trash cans for breakfast, a filled bowl with his name printed in bright letters. in a frozen yard, a soft, warm bed with a person snoring gently nearby. For every shelter dog, spending Christmas morning in a shamefully soiled run, a forever home filled with sounds and smells of a loving family. 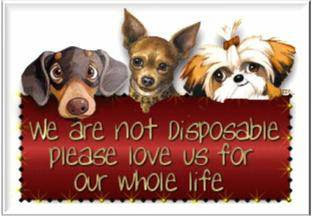 For every "Christmas" pup given thoughtlessly as a "present" today, a tolerant, caring owner who won't abandon you as you grow into a real dog. 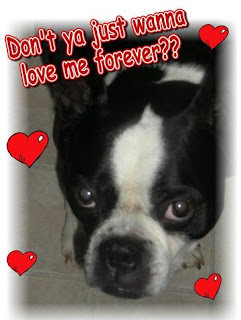 For every ailing pet, enough money for your owner to pay the bills to make you well. For every lost dog, a clear, safe road and well marked path to lead you home. For every old and tired friend, a warm fire and soft bed to ease your aches and pains. For every Heart Dog at the Bridge, a moment when you know that you are remembered today, missed again and loved forever, that a loving God has a special place for you with Him, until I arrive to meet you in His heavenly home some day. This is a MUST see for anyone who like doggies. You'll love it. Psst . . . all you fellow mischief-makers out there: when your human is not looking, check this out. For the puppies, this all probably comes naturally. However, all of you "trained" pooches might need a refresher. Here are some tips to really live it up on Christmas. It's the perfect blend of naughty and nice. Oh, and to the German Shepherds: Loosen up, ya goody-goodies, and live like a Lab for the day! 1. 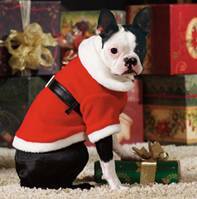 On Christmas Eve, remember two very important things: do not bark at Santa, and never take his milk and cookies. You'll thank me later. 2. On Christmas morning, wake everyone up at the crack of dawn. This is especially appreciated if there are no children in the house to do it first. 3. Inspect all of the gifts under the tree. This is your job. The wetter the nose, the better. 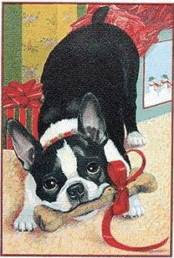 Get that snout all the way in those gift bags! 4. If you get bored, decorations make great chew toys. Just don't swallow anything. The last thing you want is a trip to the vet. 5. As people arrive at the door, do a little dance around each of them, even if it's just Dad coming back from the garage. They'll love the greeting and you'll get tons of attention. 6. Do your darnedest to wiggle out of those silly hats and outfits. Your human will enjoy the game. Give in and hold still as soon as the camera is put away. 7. Help everyone open their presents. Humans think they can do it all with those opposable thumbs, but they'll appreciate the assistance of your teeth. 8. Assist in the kitchen. Who needs a vacuum when they've got you to clean up? 9. This is your day for begging! Ham it up and you might even get some ham. Just keep your human away from all that "health advice" from vet-types. 10. After dinner, casually linger near the trash. Once they have had enough eggnog, they will never notice you there. This is your time to feast! 11. In the spirit of the holiday, be nice to the cat. I know it's hard, but just try. Trust me. It will shock the humans, and you can chase him all you want the day after. 12. And finally . . . When you're all tuckered out, curl up and take a nice long nap. Snore if possible. 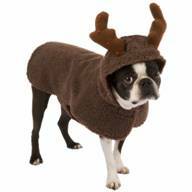 Merry Christmas, fellow canines. Have fun! P.S. When in doubt, just wag your tail (if you have one). 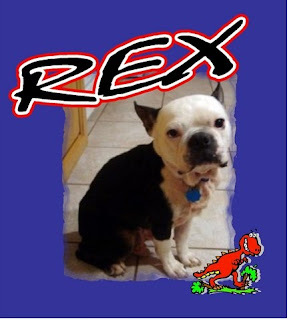 Rex is doing great. He is fitting in perfectly and getting along with my Yorkie. He's a funny guy. I left him alone for an hour out of the cage and he didn't do a thing. He loves to play and run around and he follows me everywhere. He is also eating and going outside to the bathroom. He is quite the snorer too, so he slept in his crate. I'm so happy I got him and thanks for taking such good care of him. I'm so happy he found such a wonderful home - and just in time for Christmas! Blow is a photo of "Manley". He is the permanent foster of Jane Tirc. 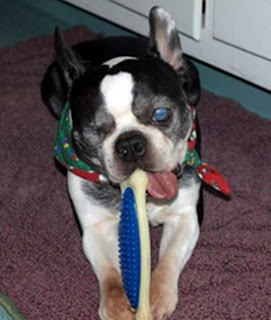 Manley recently had an eye removed and now, in time for the holiday, has found an angel sponsor in Jade Wanner. 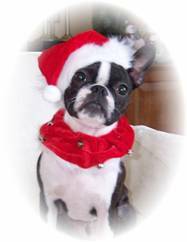 This was a Christmas present from her Mother Debbie Wanner, who is a member of our group. Thanks so much to Jane, Jade and Debbie! What a wonderful gift to Manley! 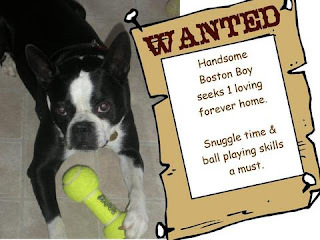 Manley the blind Boston Terrier, was found wandering the streets of Long Island, alone, on a rainy night. A good Samaritan stopped and picked him up and rescued him and contacted the NEBTR, where Jane Tirc provided a warm and comforting foster home. A story has now been written about Manley for the Amityville Record. Attached is a copy of that story. The story was written by one of the wonderful people who came to his rescue. It's a great one, and Manley thanks everyone who helped save him with endless kisses!